I am shaking as I write this. I haven't been able to sleep. It seems fitting that the first post on my blog in almost a year should arise out of this incredible experience I had last night. And I need to share it with you all. A few weeks ago, I was asked to be a speaker/presenter to share my story for the Women of Purpose Conference here in Parkersburg (you can learn more about it here). I am definitely not a great public speaker and I'm incredibly nervous about delivering a message for hundreds of women, but I know God has a story to tell through me, and I am trying to be a willing vessel. I am humbled and honored at the opportunity. As a very cool twist of irony, I discovered this week that the event will be held in the very same building I came to lead worship in for a rally 2 weeks after Jeremy passed away. And some of the women on the WOP planning committee were in the audience that weekend and were praying over me when they heard my story. I can't really tell you why I went that weekend or even remember a whole lot about it, but it's humbling to put faces and names to the amazing people who lifted me up all over the country during the darkest days of my life. Any of you that have been following this blog long enough may remember that on the first anniversary of Jeremy's death, a woman contacted me to tell me that in honor of his memory a group of people were building a house in Honduras and putting up a family who desired to follow God. 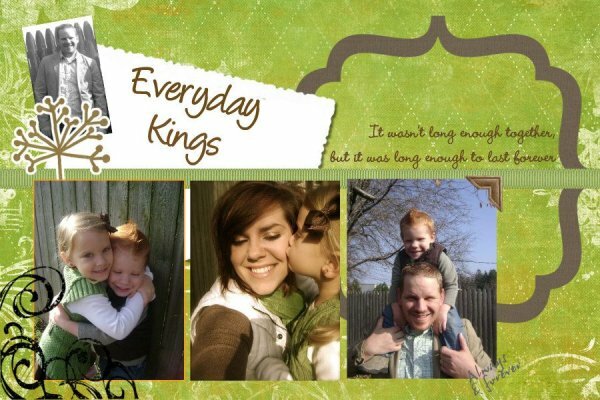 As they put them up in a home, they also shared Jeremy's legacy as encouragement and example of a godly man and father. (I posted about it here - read it, it's amazing.) Of course, I hadn't touched base with that women in years but since that day, my heart has ached to someday travel to see the place that is marked with the memory of my husband. One of the women looked at me and said, "That was me. I sent you that letter." This woman (her name is Jen, btw), this beautiful spirit who probably without knowing it brought me hope on one of the hardest days of my life, who gave me this incredible piece of honor for my husband WAS SITTING IN THE ROOM WITH ME AND I DIDN'T KNOW IT. If that's not enough, the trip just happens to land over November 9th, which will mark the 4th anniversary of Jeremy's death. I got in my car that night and burst (almost literally) into tears! What an incredible overlapping of circumstance and stories that brought to me this moment. I have fumbled through how to share this and re-playing it over and over in my head. And praying. So much praying. So....there's more to this story. This mission leaves in just over 6 weeks, and I am very far behind in the game! Luckily for me, I have everything necessary to make the trip except the funds for my flight. Lodging and food once I'm there will be covered, but I of course have to get myself there and back. I've never been good at asking for money, but here I am, hoping and asking for you to be a part of this incredible story and help me make this dream a reality. My blog followers and those random people who just stop by once in awhile; my family and friends....you have all given me so much that I could never repay - monetarily, physically, spiritually - as well as banded together to bless another widow in her time of need. I am truly grateful for this space that God has used over and over again. I could never expect more from all of you. But, if you can find it in your heart to give, there would be no depth to my appreciation. I have added the donation button at the top. My goal is to raise at least $1000 - anything above and beyond that will go to Revive to fund expenses for this ministry and further trips. If you can't give money, please consider giving up a few minute to lift these people up in prayer: The missionaries in Honduras, the people of Honduras, the WOP team, and my role in all of this as I attempt to serve in this incredible capacity. Thank you thank you THANK YOU to everyone who is reading this. For even considering supporting me, for praying, or just for taking the time to read my story and hopefully mark in your heart the legacy of the man I love and how God has worked through the tragedies in my life to bring hope to others and glory to Him. They like me! They really like me!